KANSAS CITY, Mo. 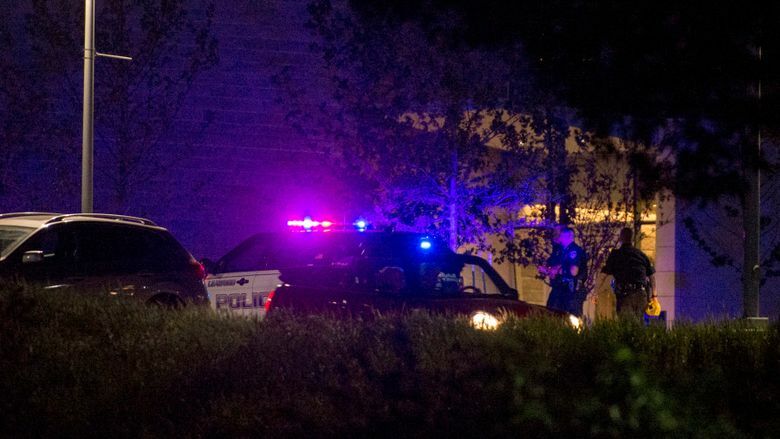 (AP) — Two people, including a young man celebrating his high school graduation, were shot and wounded when a fight erupted into gunfire in the parking lot of a suburban Kansas City megachurch. Police Capt. Brad Robbins said the shooting happened Thursday night as hundreds of people were leaving the Church of the Resurrection in Leawood, Kansas. The church had just hosted a graduation ceremony for students of the Center High School in Kansas City, Missouri. The other victim was wounded inside a vehicle. Robbins said he didn’t know that if victim was also a graduate. Both shooting victims were treated at a hospital and released, Robbins said. Robbins said the melee started with a physical fight. Officers were asking questions about the fight when they heard gunfire in another part of the parking lot, sending graduation-goers running in all directions. He said more than a dozen shell casings were found at the scene but that no information was available on the weapon or weapons used. Police officers in neighboring Overland Park, Kansas, followed a vehicle after it was spotted fleeing the area at high speed, but they lost sight of it. Robbins said officers want to review video of the pursuit and talk to witnesses. Many of them drove off after the shooting, and police haven’t been able to determine what started the fight, Robbins said. Robbins said the Center School District has limited capacity in its gymnasium and has held its graduation ceremony at the Church of the Resurrection for years. With over 20,000 members, the church has the largest Methodist congregation in the U.S.